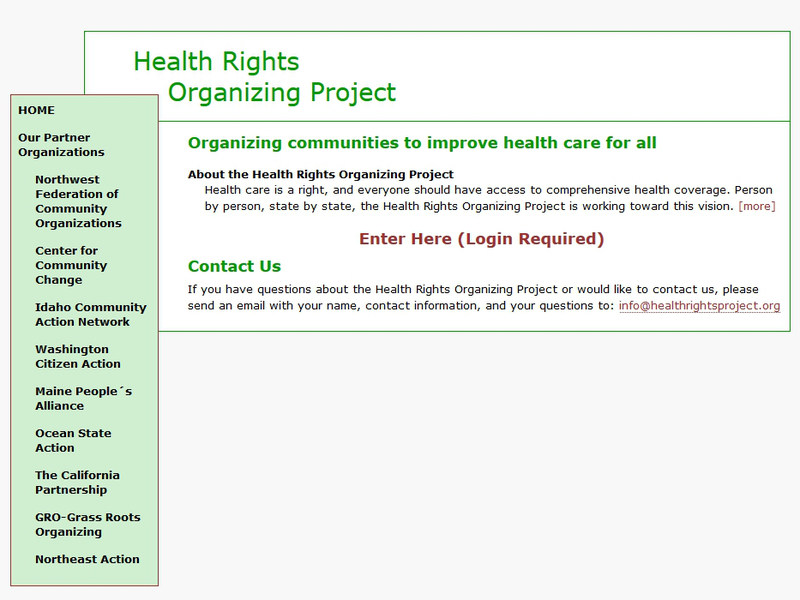 Health Rights Organizing Project | Building Websites for the People! 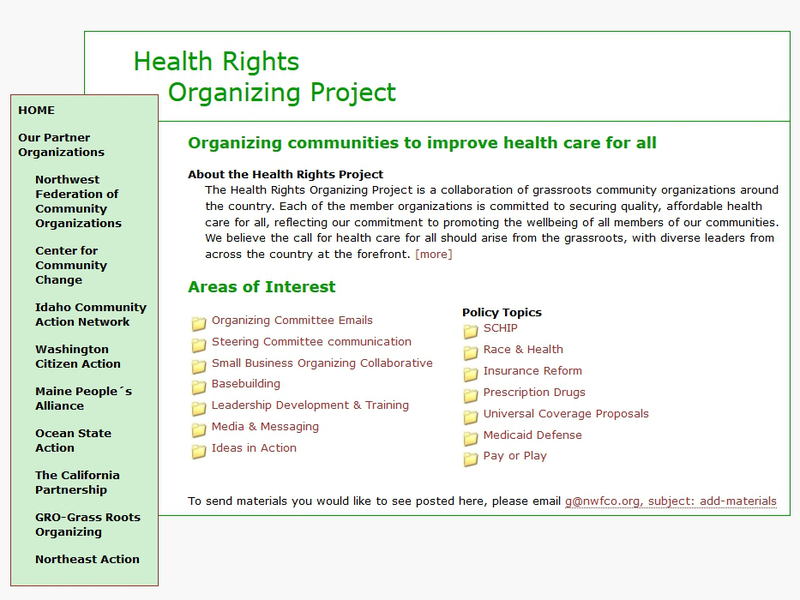 Health Rights Organizing Project ran from 2006-2010. It was one of several password-protected websites I created while at Alliance for a Just Society, formerly Northwest Federation of Community Organizations. 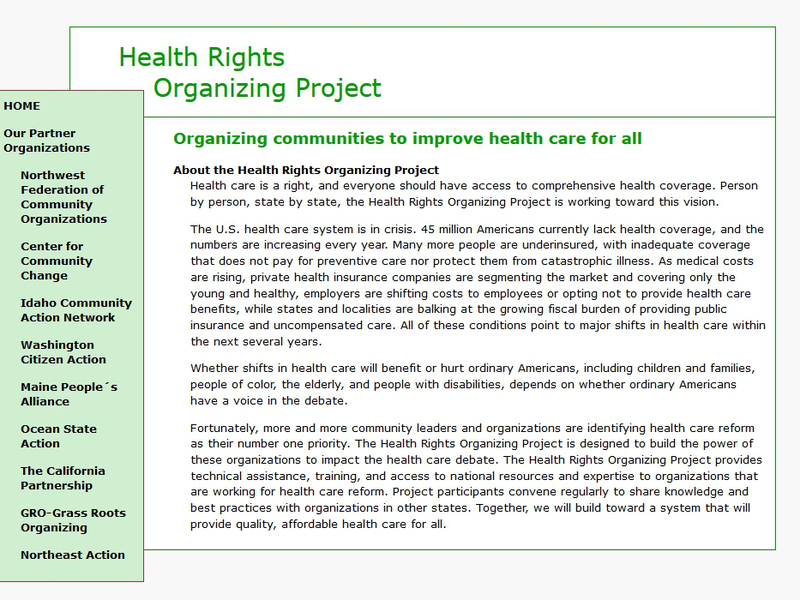 It served as a clearinghouse of fact sheets, educational materials, and other resources for grassroots organizations to use. 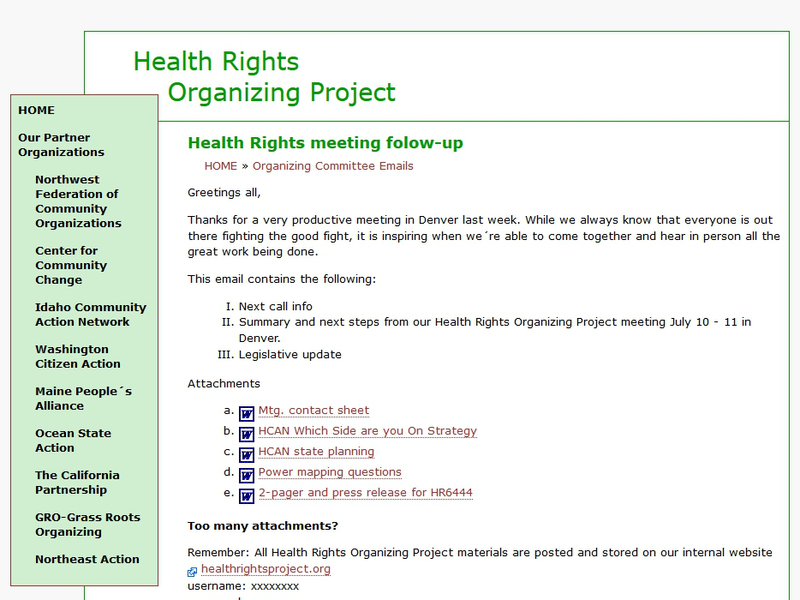 This website was an effective tool for sharing materials with coalition partners that did not clog up email inboxes with attachments. Organizers preferred editing files stored in a centralized location rather than sending email attachments each time someone updated a document. This entry was posted in Portfolio and tagged Alliance for a Just Society.